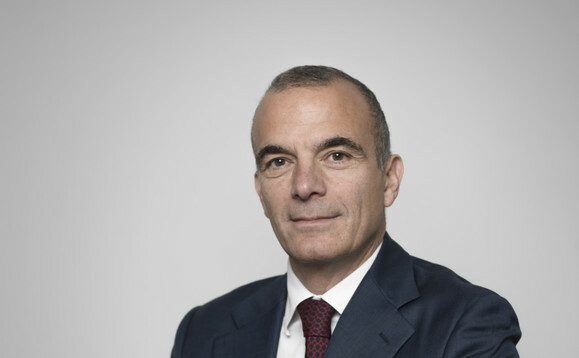 Eurizon, the asset management company of Intesa Sanpaolo, has reported its assets under management reached €312bn as of the end of September 2018, up 1.5% compared to the same time the year before. Consolidated net income was reported as €350m over the January -September period, while net income, excluding contributions from the sale of Allfunds Bank, grew by 3.6%. Fee and commission income was up 7% on the same period a year ago, to €532m. The cost/income ratio is “under 21%”. Total net inflows through the period were €4.9bn, chiefly to open ended funds, which attracted some €4.8bn in Italy alone, or some 60% of all such net inflows in that market, where Eurizon is ranked first on this basis. Flexible funds attracted €6.3bn of inflows. Institutional individual portfolios attracted some €3.3bn, or some 80% of total inflows to this category. PIR funds attracted €678m, with AUM for this type of fund reaching €2.3bn. Net subscriptions to PIR funds now account for some 14% of total Eurizon inflows, the manager noted. The mangers partnership with Poste Italiene saw AUM in the BancoPosta Orizzonte Reddito flexible fund pass €300m since launch in April. Assets managed in the 19 funds focused on ESG investing saw inflows of €1.26bn in the first half of the year, taking AUM in this product area to €4.85bn, the manger says, citing Assogestioni data. Eurizon’s Chinese partner business Penghua saw net inflows of €5.5bn, as its assets reached €79bn by the end of September. Adding these to Eurizon’s total assets brings them up to €391bn. Pengua was given authorisation to launch individual pension funds in China through the period reported, which Eurizon says will benefit from “intra-group synergies”. In Eastern Europe, the Slovakia, Hungary and Croatia assets reached €3.8bn, with inflows of €106m from the start of the year. New products are being developed for these markets, with an eye to consolidating Eurizon’s position in the local retail market segment, and to grow more into the institutional market. Eurizon also pushed to establish a greater presence on the ground in Germany and Switzerland, while subsequent to the period reported, in November, it has also added dedicated resource to support business in Iberia.